Nose: Smooth and sweet odour of vanilla with juniper berrie in the background. Taste: Warm and spicy genvere with a soft taste of vanilla, honey and caramel. Finish: Long and spicy with subtle freshness of juniper berries. 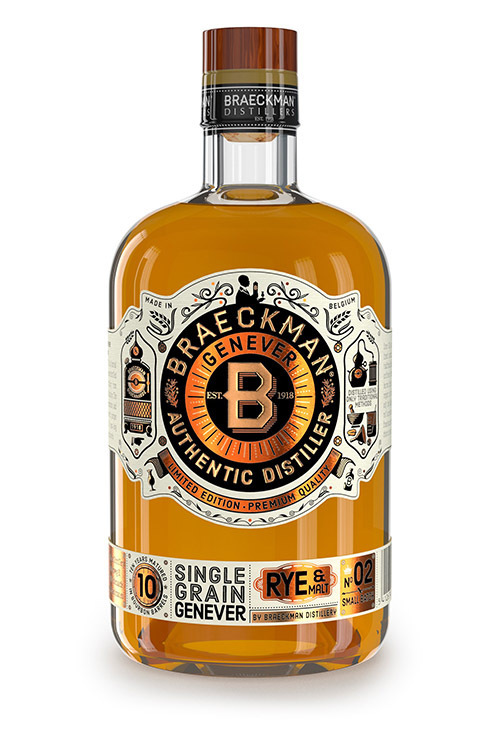 Braeckman's 10 years old single grain genever touches our senses. This genever solely consists of rye and malted barley. After a maturation period of 10 years on American first fill Bourbon barrels, our genever obtains its complex character with many different influences.